A very early signed (as marker) scorecard from Tiger's 3rd Professional Tournament (he played as an amateur) And did not make the cut. 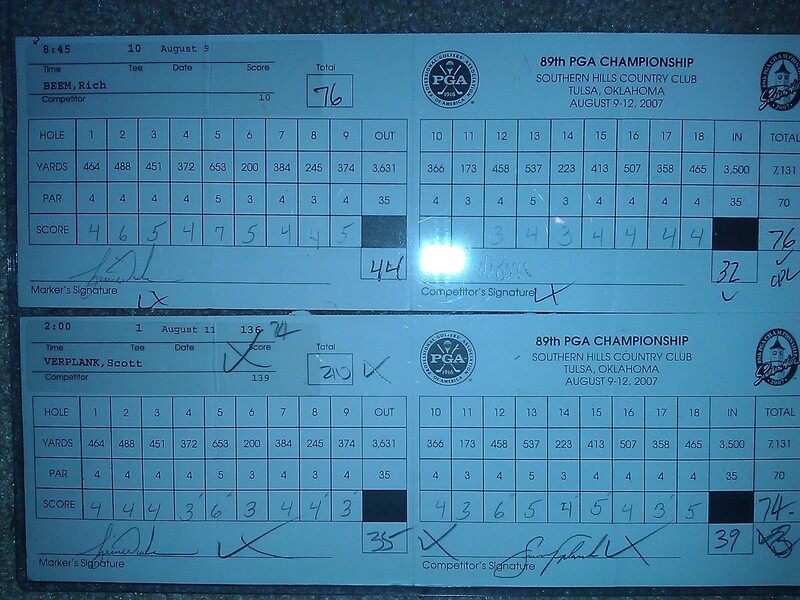 Notice he made a mistake and corrected the score on the 10th hole and wrote TW next to it. 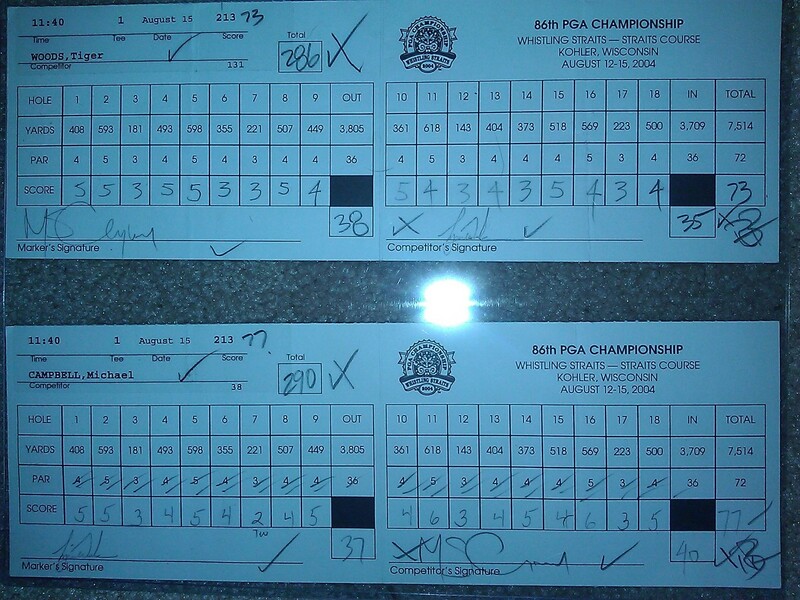 A Final round scorecards from Tiger Woods and Michael Campbell for the 2004 PGA. The Sunday Red shirt for Tiger did not pull him through on this day. 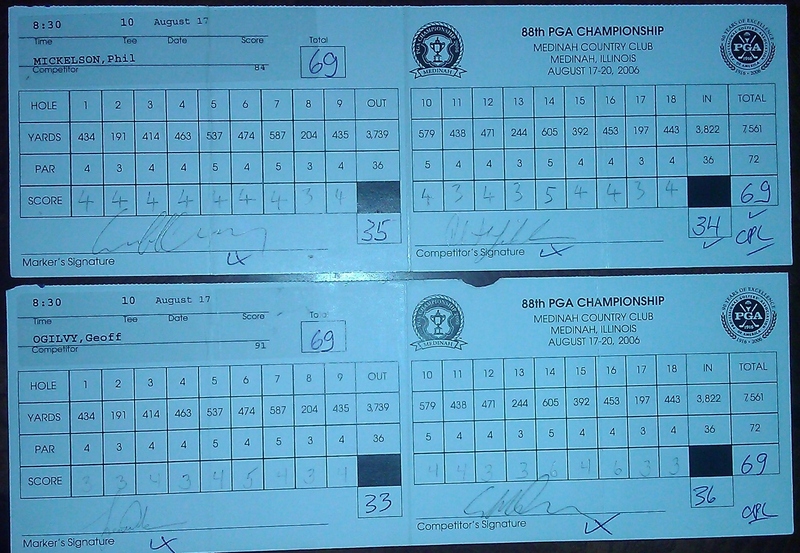 Tiger Woods was leading the 2009 PGA when he turned in this 3rd round scorecard. The next day he would give up the lead and lose to Y. E. Yang. A first for Tiger! 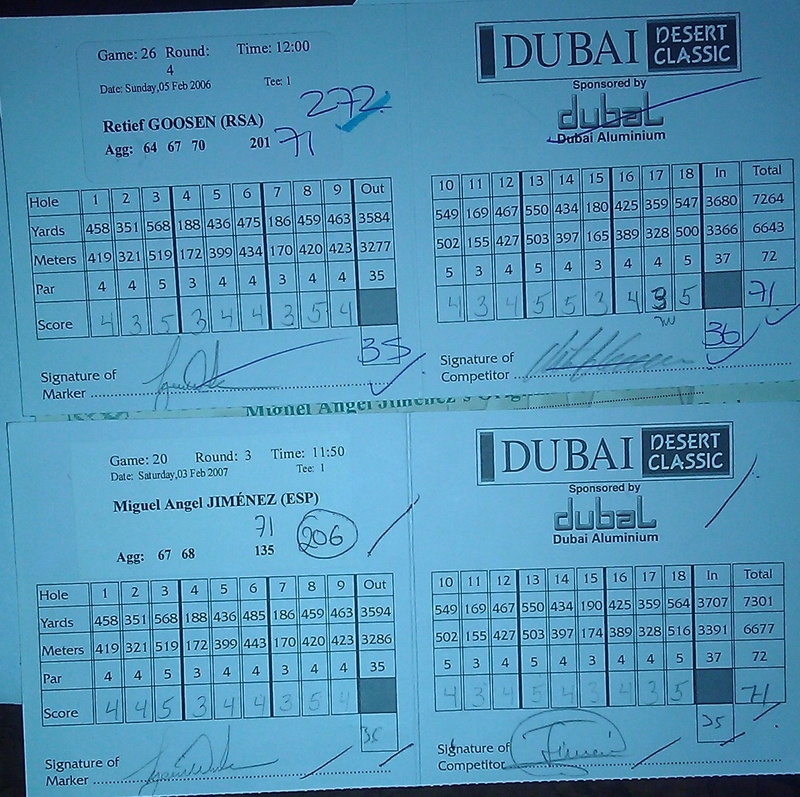 Scorecards from the BIG grouping of the Major Winners from 2006. Phil Tiger and Geoff! 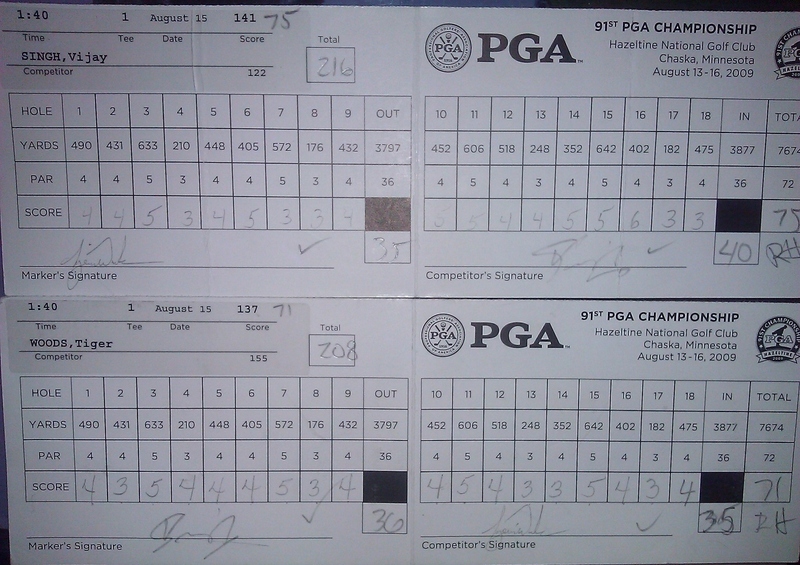 I could not get tiger's card as he won this PGA and Tiger owns it. !